If you are one of the many CEOs who spent the last few months reflecting upon your company’s current growth strategies, it is time to push forward. By gathering insights about your competition, brand, and customers, you can create a powerful advantage. In fact, the right information can be a springboard for innovation and growth, as well as an effective way to successfully drive differentiation and brand equity. In their book The Growth Gears, Chief Outsiders Co-Founders Art Saxby and Pete Hayes explain that CEOs with a market-based focus do the best job of growing their enterprises. The first growth gear, Insights, recommends your company continuously collect and leverage data about itself, its customers, and its competition. This practice is not only a need; it is a requirement. This information forms a solid foundation for making decisions about your strategy, products, positioning, and resource allocation. Even in a data-driven world, many mid-market companies are reactive, listening to a handful of key retailers and customers to drive new product and marketing ideas. However, this practice merely makes them a transactional partner that delivers “me too” ideas from retailers and customers. The most successful companies thrive by creating a meaningful point of difference in the market. The key to uncovering opportunities is to leverage market insights in a consistent and relevant way. to lose traction in the channel. To find out why, its leadership engaged an outside firm to do a “secret shopper” study and ask store sales associates what products they would recommend, and why, based on specific usage scenarios. The results that came back were quite surprising – and disappointing – to the company. Among all brands in the store, they were the No. 4 most recommended – even behind two brands that had a much lower market share. The study also found that company associates were very critical of the sales materials, the lack of new product innovation, and the professionalism of the sales personnel. With this information, the company took several actions. They implemented a new training program for sales associates, as well as the development of professional sales materials, like videos, manuals, and an online resource portal. An aggressive new products program was also developed, with an early launch into the specialty channel. Retailers were impressed that the brand was listening to the marketplace and was prepared to act. These efforts paid off over the next 24 months, as the brand went from the 4th recommended to the 2nd. Sales grew almost 20 percent in the channel, and associates were excited about the new selling materials and product initiatives. As a result, the secret shopper study became an annual piece of research used to collect and analyze insights – then put them into action. To appropriately leverage your company insights, institutionalize a company process. Collecting data does not have to be an expensive proposition; however, you should continually and consistently gather information about your company, competition, and the customer. Employees are essential to helping your brand become more market-driven. The key is input and communication. The most effective methods are informal in nature, like a virtual suggestion box, or a question of the month. For example, ask your team about their ideas for cost savings opportunities, then offer an incentive for implemented ideas, so employees know their ideas are being acted upon. While you get your employees engaged, foster a culture that scrutinizes the competition. Collecting this data gives you the background and rationale for future activities. Ideas include exploring trade publications, reviewing annual reports, visiting trade shows, and browsing LinkedIn for company insights. The tool Website Grader will help you assess how your website ranks in relation to your competitors. Next, create category or brand trend presentations using information gleaned from your research. These should be updated regularly and sent to the sales group to be incorporated into presentations to prospective customers. This practice helps position the company as forward thinking and innovative. Keep a current binder of competitive activities, then task someone within the company to present a quarterly assessment. The bulk of time and investment should be devoted to your consumer or customer information. There are many ways to gather insights. Have employees visit stores or call customers every month to ask for feedback. You can also build a customer database and access that database through regular surveys, like Survey Monkey or MailChimp. These accessible tools allow you to gather insights via email for a small, monthly investment. Additionally, you can benefit from the acquisition of an active email list of your customers, which can be used to foster a further dialogue and grow a loyal following. 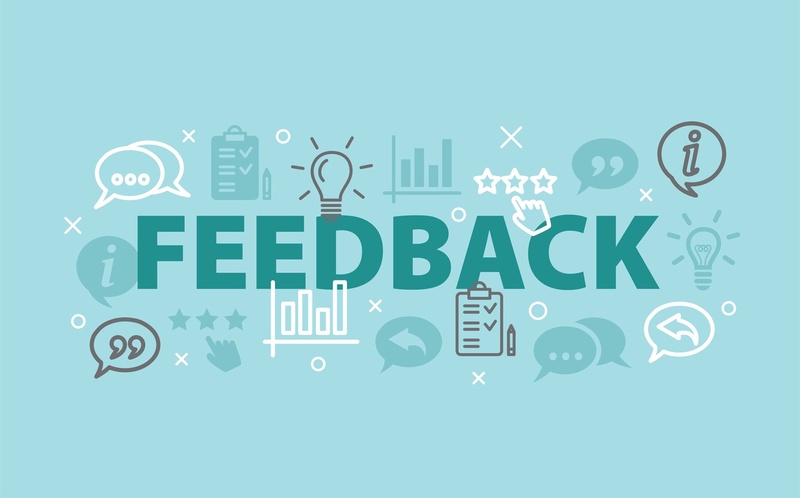 Other cost-effective avenues to collect consumer feedback include GutCheckIt.com, which provides a way to get an online response to concepts; and Usertesting.com, which is a great tool for feedback on website messaging and experience. Fielding surveys with customers can be quite helpful. Gaining insights on market trends, brand performance, future expectations, and recommendations for improvement can be performed with a representative number of stores/customers at least once per year to build a baseline that is analyzed annually. An emotional connection with customers can be very powerful and long lasting. By developing a corporate culture that values the ongoing informal and formal capture and synthesis of insights from all stakeholders, you can create a brand that truly resonates with consumers and customers. If you would like more information on how to understand or implement the Insight Growth Gear, or how to propel your growth strategies in 2018, Chief Outsiders would be happy to help. A fractional, part-time Chief Marketing Officer may be just what you need to turn your Growth Gears for success this spring.